The Auction Mercial service, currently free to registered eBay Sellers, automates the creation of video Infomercials, transforming an auction’s pictures and text descriptions into a high-quality video. Sellers add the communicating power of video to auction listings; Buyers get next generation, TV-like shopping experience. Auction Mercial (http://www.auctionmercial.com) today announced its auction infomercial service earned certification as an eBay Compatible Application. The Auction Mercial service, currently free to registered eBay Sellers, automates the creation of video Infomercials, transforming an auction’s pictures and text descriptions into a high-quality video. 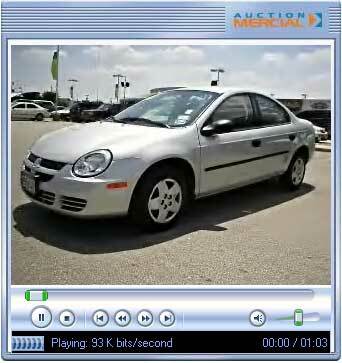 eBay Certification helps make Auction Mercial highly automated. Sellers simply enter their eBay Item Number to “Quick Create” a Mercial. Auction Mercial imports the Item’s pictures and text description from eBay. Then it’s one click to create and view your Mercial, most of the time in less than 30 seconds. The Auction Mercial service is currently free to registered eBay Sellers. Over 900,000 Auction Mercials have been created automatically from eBay auctions to date. Auction Mercials provide a more engaging experience for Buyers.Auction Mercials provide better communication, a better connection with the Buyer, and a more professional image for the Seller than conventional listings.